In this movie Dr.-Ing. 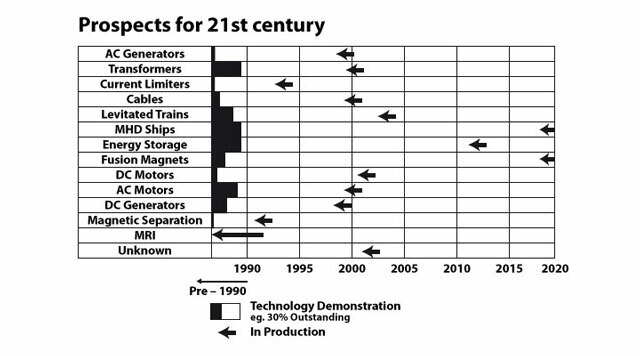 Hans J. Scheel talks about the potential of HTSC which failed due to huge material and crystal technology problems. First growth of free YBCO crystals and LPE were achieved. 1. Book: “Crystal Growth from High-Temperature Solutions”, 10 chapters, 634 pages, authors D. Elwell and H. J. Scheel, Academic Press, London - New York, (1975). With additional chapter 11 “Crystal Growth and Liquid Phase Epitaxy of High-Tc Superconductors (HTSC)” and Appendices A. 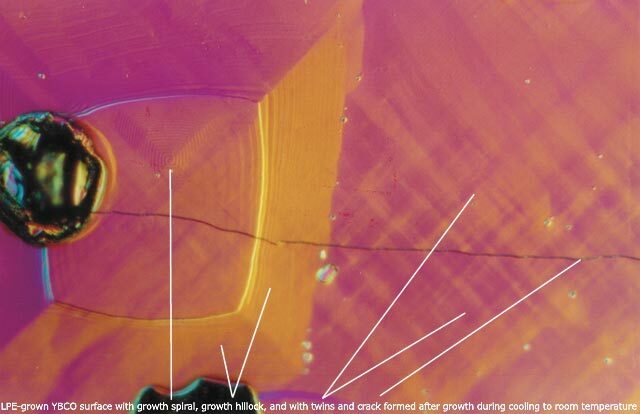 “Growth of Striation-free Crystals” and B. “Epitaxy and the Importance of LPE” , available as download on this website. H. J. Scheel and F. Licci : “Crystal Growth of YBa2Cu3O7-x ”, J. Crystal Growth 85 (1987) p. 607-614. Physica C 153-155 (1988) p. 44-49. MRS Boston Fall 1987 Symp. Vol. 99 (1988) p. 595-599. J. Crystal Growth 94 (1989) p. 281-284. Superconductor Science & Technol. 2 (1989) p. 17-21. (E-MRS Conf. Strasbourg Nov. 1988), J. Less Common Metals / Special Issue 150 (1989) p. 219-227. Thermochim. Acta (invited review) 174 (1991)p. 115-130. Proceedings of 7th Internat. Conf. Vapor Growth and Epitaxy, Nagoya 14-17 July 1991, and J. Crystal Growth 115 (1991) p. 19-30. C. Klemenz and H. J. Scheel : “LPE of High-Tc Superconductors”, presented at the 10th Internat. Confer. on Crystal Growth August 16-21, 1992 at San Diego Calif. ; J. Crystal Growth 129 (1993) p. 421-428. H. J. Scheel, “Problems in Epitaxial Growth of High-Tc Superconductors”, in Advances in Superconductivity VI, editors T. Fujita and Y. Shiohara, Springer-Verlag, Tokyo 1994, p. 29-36. H. J. Scheel, C. Klemenz, F.-K. Reinhart, H. P. Lang and H.-J. Giinterodt “Monosteps on extremely flat LPE-grown surfaces of YBa2Cu3O7-x”, Appl. Phys. Lett. 65 (1994) p. 901-903. H. J. Scheel : “Materials Engineering Problems in Crystal Growth and Epitaxy of Cuprate Superconductors”, Mater. Res. Bull. 19 (September 1994) p. 26-32. Physica C 265 (1996) 126-134. T. Nishinaga and H. J. Scheel : “Crystal growth aspects of high-Tc superconductors”, Proceedings ISS'95, Advances in Superconductivity, VIII Vol.1, editors H. Hayakawa, and Y. Enomoto, Springer, Tokyo 1996, 33-38. M. Mukaida, S. Miyazawa, C. Klemenz, and H. J. Scheel : “Structural characterization of a-axis oriented YBa2Cu3Ox films grown by liquid phase epitaxy”, J. Crystal Growth 169 (1996) 715-721. C. Klemenz, I. Utke and H. J. Scheel : “Film Orientation, Growth Parameters and Growth Modes in Epitaxy of YBa2Cu3Ox ”, J. Crystal Growth 204 (1999)62-68. J. Crystal Growth 200 (1999)435-440. C. Klemenz, I. Utke and H. J. Scheel, “Defects on YBCO films grown by liquid-phase epitaxy on NdGaO3”, J. Crystal Growth 207 (1999)62-68. H. J. Scheel, “Introduction to Liquid Phase Epitaxy”, chapter 1 in “Liquid Phase Epitaxy of Electronic, Optical and Optoelectronic Materials”, editors P. Capper and M. Mauk, Wiley & Sons, Chichester UK (2007), 1-19.